DEVINE, T. 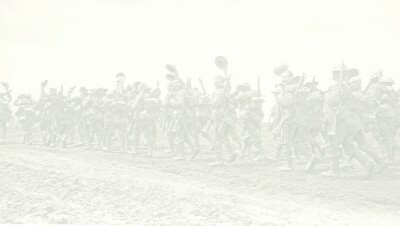 J.,Pte., R.A.S.C., and S. Lancashire Regt. He was serving in South Africa at the outbreak of war, and immediately proceeded to France, where he fought in the Retreat from Mons and at the Battles of Neuve Chapelle, St. Eloi, Ypres, Loos, and the Somme, in which he was wounded. On recovery he was transferred to the R.A.S.C., with which he served as a driver until discharged as time-expired in May 1919. He holds the Mons Star, and the General Service and Victory Medals. 342, Southwark Park Road, Rotherhithe, S.E.16. DEVITT, H. E., Driver, R.F.A. He volunteered in August 1914, and two months later was sent to France, where he was in action at the Battles of La Bassee and Ypres, and was wounded in June 1917. On recovery from his injuries he fought at Loos and Vimy Ridge, and in June 1916 embarked for Salonika, where he was engaged in the Advance on the Struma, and in other operations in the Balkans, including the Battle of Monastir. He returned to England early in 1919, was demobilised in March of that year, and holds the 1914 Star, and the General Service and Victory Medals. 105, Roan Street, Greenwich, S.E.10. DEXTER, G. H., Stoker, 1st Class, R.N. He joined the Navy in 1906, and on the outbreak of hostilities was serving in H.M.S. "Liberty." He unfortunately lost his life when his ship was sunk in the Battle of Heligoland Bight on August 28th, 1914, and was entitled to the 1914-15 Star, and the General Service and Victory Medals. 48, Barkworth Road, Rotherhithe, S.E.16. DIAMOND, F. E., Chief Stoker, R.N. Volunteering in August 1914, he was posted to H.M.S. "Actaeon," in which he took part in the Battle of Heligoland Bight, and in the Naval operations during the Dardanelles campaign. Afterwards he was sent home and served at Sheerness on important duties until demobilised in September 1919. He holds the 1914-15 Star, and the General Service and Victory Medals. 441, Rotherhithe New Road, S.E.16. DIAMOND, F. E., Driver, R.F.A. Joining in May 1916, he served after a course of training at various stations with his unit, and later proceeded to Ireland. He was not successful in obtaining a transfer to a fighting unit before hostilities ceased, but, nevertheless, rendered valuable services. In 1919 he was sent to India, and, attached to the 4th Division, served at Hyderabad and other places until July 1920, when he returned to England and was demobilised in the following October. DIBBEN, H., Private, Royal Scots Fusiliers. He had previously served, and in December 1915 voluntarily re-enlisted, and early in the following year embarked for France. There he fought in many notable engagements, including those of the Somme, Arras, Ypres, Cambrai and the Retreat and Advance of 1918. After the Armistice he proceeded with the Army of Occupation to Germany, where he served until April 1919, when he was demobilised, holding the Indian General Service Medal (1896) the Queen's and King's South African Medals, and the General Service and Victory Medals. DIBLEY, J., Sergt., 18th Rifle Brigade. Volunteering in September 1914, he sailed in November of the following year for India. Prior to the war he had served with the St. John Ambulance Corps, and consequently was able to render valuable service at the hospitals. Later he was engaged on Regimental duties until returning home for demobilisation in December 1919. He holds the 1914-15 Star, and the General Service and Victory Medals. 26, Haymerle Road, Peckham, S.E.15. DICKER, H., Private, R.A.S.C. He volunteered in October 1915, and in the same year was drafted to Salonika. During his three years' service in that theatre of war he was engaged on important duties in various sectors. Later he unhappily contracted malaria, and was invalided home, and subsequently was discharged in March 1918. He holds the 1914-15 Star, and the General Service and Victory Medals. 85, Bevington Street, Bermondsey, S.E.16. DICKER, H. W., Private, 2nd Hampshire Regiment. He volunteered in August 1914, and in the following year was drafted to the Dardanelles, where he was unhappily killed in action during the Landing on the Peninsula in 1915. He was entitled to the 1914-15 Star, and the General Service and Victory Medals. DICKER, S., Rifleman, K.R.R.C. He joined in January 1916, on attaining military age, and was retained for duty in England. He was not able to obtain a transfer overseas before hostilities ceased, but later was sent with the Army of Occupation to Germany, where he served until December 1919, when he was demobilised. DICKIE, A. T., Special War Worker. During the course of war he was engaged on work of National importance in the Fuse Department, Woolwich Arsenal, and rendered valuable services until after the Armistice. 7A Hut, Avenue A, Blackwell Lane, East Greenwich, S.E.10. DICKINSON, W. P., Private, 1st Norfolk Regiment. Volunteering in August 1914, he was drafted in May of the following year to the Western Front. Here he took part in the fighting at Givenchy, Loos, the Somme and Ypres, and later was sent to Italy. In this theatre of war he saw much service on the Piave, and afterwards returned to France, and fought in the Advance of 1918. During his service overseas he was gassed. Demobilised in February 1919, he holds the 1914-15 Star, and the General Service and Victory Medals. 38, Lindsey Street, Rotherhithe, S.E.16. DICKS, T. H., Driver, R.F.A. He enlisted in February 1913, and when war broke out was sent with his Battery to France, and fought in the Retreat from Mons and numerous subsequent battles. He was in action at Loos, the Somme, Messines, and Cambrai, and also took part in the Retreat and Advance of 1918. On returning to England in March 1919 he was demobilised, holding the Mons Star, and the General Service and Victory Medals. 46, Aylton Street, Rotherhithe, S.E.16. DICKSON, W. J., Pte., Northumberland Fusiliers. Joining in October 1916, he was retained for a time on special duties in England. In 1918, however, he proceeded to France, and saw fighting on the Somme and in the Cambrai area, but after a few months' service was invalided home owing to ill-health, and subsequently discharged in October 1918. He holds the General Service and Victory Medals. 30, Alexis Street, Rotherhithe, S.E.16. DIETT, J. T., Leading Stoker, R.N. He was serving in H.M.S. "Newcastle," stationed in Chinese waters at the outbreak of war, and served aboard that vessel whilst she was engaged on patrol and other duties in the North Sea. She was later employed on similar duties in Canadian waters and was later sent to Russia. He was transferred to H.M.S. "Titania," in which ship he was still serving in 1920. He holds the 1914-15 Star, and the General Service and Victory Medals. 32, Norman Road, Greenwich, S.E.10. DIETT, T. W., Pte., Q.O. (Royal West Kent Regt.) He was already serving on the outbreak of war, and five months later proceeded to France. There he was in action at St. Eloi, Ypres and Delville Wood, where he was wounded in July 1916. He received treatment at Rouen, but later was sent home and subsequently discharged in August 1917, as medically unfit. He holds the 1914-15 Star, and the General Service and Victory Medals. 11, Blissett Street, Greenwich, S.E.10. DIGBY, L. W., Rifleman, K.R.R.C. He volunteered in May 1915, and shortly afterwards proceeded to France. Whilst there he fought in many notable battles, and was seriously wounded. Later he unfortunately died of his injuries on December 9th, 1915. He was entitled to the 1914-15 Star, and the General Service and Victory Medals. 40, Buchan Road, Peckham, S.E.15. DIGGERSON, G. W., Driver, R.A.S.C. Joining in May 1916, he was shortly afterwards sent to France. There he was employed as a transport driver and served at Arras, and on various other fronts. He did good work whilst overseas, and was gassed. Returning home after the Armistice, he was demobilised in February 1919, and holds the General Service and Victory Medals. 34, Elderton Road, Lower Sydenham, S.E.26. DIGGERSON, J., Private, 1st Hampshire Regiment and 4th Bedfordshire Regiment. He was under the age of sixteen when he volunteered in September 1915, and early in the following year was drafted to France. After taking part in heavy fighting at St. Eloi, he was claimed out of the Service by his parents, but rejoined in March 1918, and proceeded again to France. He took part in further fighting in various sectors, and was twice wounded. He was eventually demobilised in February 1919, holding the General Service and Victory Medals. DIGHTON, E. A., Air Mechanic, R.A.F. He joined in June 1917, but was medically unfit for transfer to a theatre of war, Retained on home service, he was employed on important duties in the aerodrome at Norwich, and did excellent work until be was demobilised in February 1919. 11, Watlington Grove, Sydenham, S.E.26.